Contemplations on education and technology. Stay curious, stay connected, stay creative. I first became aware of the Erasmus programme (EuRopean Community Action Scheme for the Mobility of University Students) as a CPD option for staff, was when I hosted a week long visit to the University of Edinburgh for a Learning Technologist from University College Cork in Ireland in January 2015 (in fact it was only in 2014/15 scheme was extended to non-academic staff). Our department also had a visitor last summer, a Learning Technologist from an Italian University. I always enjoy meeting visitors – I love hearing about their work and learning about the institution where they work. These conversations are always inspiring and help me to see my institution with fresh eyes. On the 29th of August 2017 I went to an event at the University of Edinburgh (where I work) called “Go Abroad – Staff opportunities” to find out more about participating. The ERASMUS scheme offers funding for week-long training visits for professional services staff – within Europe you could apply to spend time at any institution and I discovered that there was also an extended scheme for visits outside Europe, through the International Credit Mobility programme, to spend time with specific partner institutions. I was really excited by the opportunity this scheme offered and started thinking about my role and interests and possible destinations to identify a suitable match. In September 2017 (after discussing this with my line manger) I submitted my application to visit the University of Virginia. I am currently running a scheme at the University of Edinburgh to support staff undertaking their Certified Membership of the Association for Learning Technology (CMALT) a professional development opportunity for staff working with learning technology. I proposed to make this visit to explore Institutional approaches to Staff Development for IT staff (specifically learning technology) and to make connections with others working in this area. As I didn’t know anyone at UVa I was matched with my host through the Go Abroad scheme contacts for both institutions. John Alexander from UVa very kindly agreed to host me in his department SHANTI Sciences, Humanities & Arts Network of Technological Initiatives. John was equally inspired by the possibilities of a study visit and applied to make a visit to the University of Edinburgh in June 2018 (more about this in a later post). To coordinate my visit John & I initially used email and later set up a shared google doc – I sent John some information about my work and interests and he contacted relevant people and set up meetings for me. This meant I had a good idea of the shape of my week of activities before I arrived. Virginia viewed out of a plane window. This was my first visit to the US, so this section will not be relevant to seasoned travelers! As it was my first visit and I’m a UK Citizen before I went I need to apply for an ESTA as part of the Visa waiver Program. In order to make it to my destination the day before my visit started, I left home in Edinburgh early on the Sunday morning, flew direct to Newark then to Washington DC, then to Charlottesville. 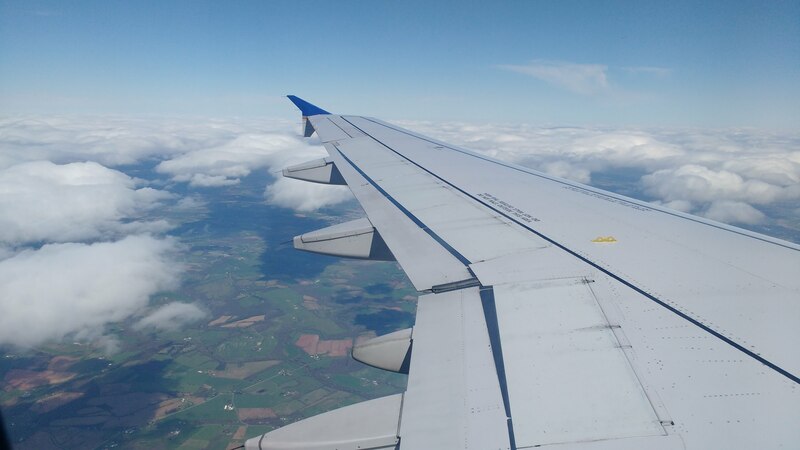 Three flights in the one day was a lot, and I’ve since discovered that there are some direct flights from Edinburgh to Washington DC – so I’d recommend taking a good look at options before you book. I was allocated the window seat on all my flights, which was great for the short trips with a view – but very cramped for the long haul flight – so I’d avoid this if possible when travelling again. 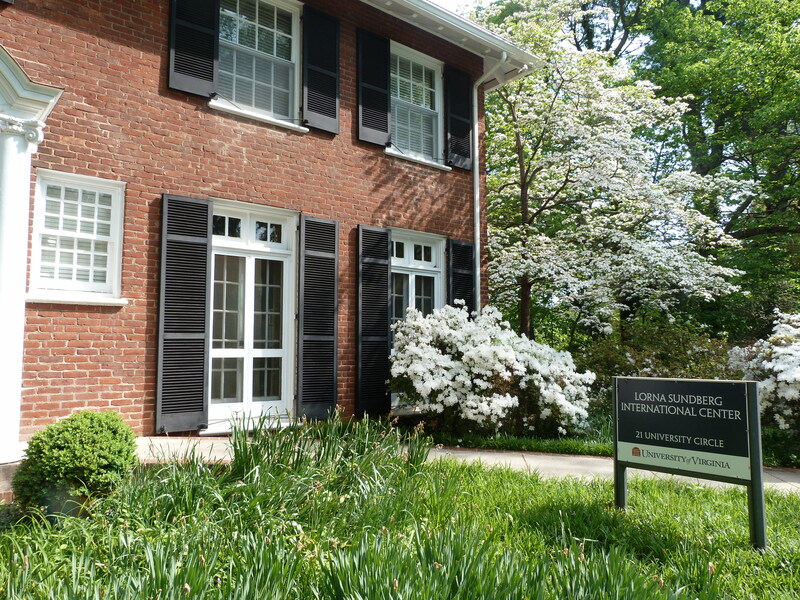 I was very lucky to have been able to book a room in the beautiful Lorna Sundberg Center which was on the edge of the campus. This was suggested by my contact in the International office at UVA , along with other options such as the campus hotel. I was attracted to the centre with it’s friendly feel and self catering facilities it seemed like a ‘home from home’, it is used for cultural activities and is has a number of rooms that can be booked by international visitors. During my time there I met people from Japan and France, most of whom were making longer visits, 6 weeks to a few months. It was great being able to cook for myself and to relax in the quiet library and study spaces and to sit out on the Veranda. I even found time to do some drawings. While its really exciting to get the chance to go on this trip, it did take place in addition to my usual work and required me to plan my activities carefully to allow for me to be out of the office for a week. So it was hard to find time to devote to preparing for the trip before I went (hence the booking three flights rather than looking at alternatives!). Ideally I would suggest spending more time on this. Also, despite putting in an application in November it takes time to put the contacts in place with the other institution and to finalise the visit dates. By the time this is all in place it was about six weeks before I was due to travel – so time was of the essence! This was my first trip of this distance so it was also my first experience of jet lag – which surprised me by hitting me much harder than I expected. The 5 hour difference doesn’t seem that much on paper but in practice really knocked my body clock I was surprised when I found myself slurring during a late afternoon meeting on my first day (fortunately the people I was meeting were very understanding). Don’t over schedule your activities and allow some time between meetings for ‘processing’ and adjusting. I also took time to get my bearings around the campus. I would find my way to the right building, then take 15 minutes trying to find the entrance (yes, this really happened – twice!). I was late for a couple of meetings which anyone who know me will know is unusual as I tend to be habitually early. I took my paper map everywhere, used google maps to estimate journey times and then doubled them. I’d sussed the layout of the main campus by my final day. Preparation – Think about what you will say when you meet people, how you will describe your work and what questions are you interested in asking? there is defiantly room for going off topic and seeing where the conversation leads, but most of the people I met has squeezed an hour to meet into a busy day and its good to make the most of this. One person I was meeting got in contact in advance to ask me more about my areas of interest and we had a quick pre-chat by email and our resulting meeting was really constructive. If I were to do this again I’d write a couple of paragraphs introducing myself and give this to my host, or send this to people before we met. Go with a question. It’s easy to get overwhelmed with everything that’s going on in another institution. I found it really helpful to focus on one main thing during my visit – for me it was how does UVa approach to Staff Development for IT staff (specifically learning technology). Travelling is exhausting – don’t overestimate what you will be capable of when you arrive. This is not like walking into an institution you know well – its disconcerting and takes energy getting to know a new place. Saying Thank You- I took a gift from my institution for my host and small gifts for people I met with. It would have been useful to have remembered to bring thank you cards but after some exploring I was able to buy these on campus. Follow up afterwards, I’ve not been great as this (yet) but I do mean to follow up with everyone who was kind enough to take time to speak to me to thank them and to share the outputs from my visit. Much of my work over the last 10 years has focused on bringing staff at the Uof E together around areas of common interest and supporting and encouraging them to learn together. I set up institutional user groups for the Online Distance Learning Community, the Learn User Group and Virtual Classroom/Meeting User Group. I was influenced by the concept “Communities of Practice (CoP)” as described by Wenger, E. (1998) whose work I read when I was studying for my PGCert in Professional Education and which I realise, has influenced my practice ever since. Wenger, E. (1998) describes how groups of people working on an area of shared interest are brought together as a community working towards a shared goal and how this community can develop it’s own ways of working and supporting new members. My understanding from this is that you can’t ‘make’ a CoP – this develops from the shared common interest. However you can ‘nurture’ a group that is forming around an area of interest. Connecting different roles, for example administrative, teaching and support staff – to enable the observation of cultural working practices. Building relationships across various models of support e.g. centrally and locally deployed services – to negotiate mutual understanding of experience. Providing role models for staff new to the institution and/or to learning technology – to support legitimate peripheral participation. By providing visible, funded, CPD support for Learning Technology staff it is hoped to retain talent and to attract people to the University, as the destination of choice for staff with learning technology skills – creating legitimate space for participation and supporting community growth. 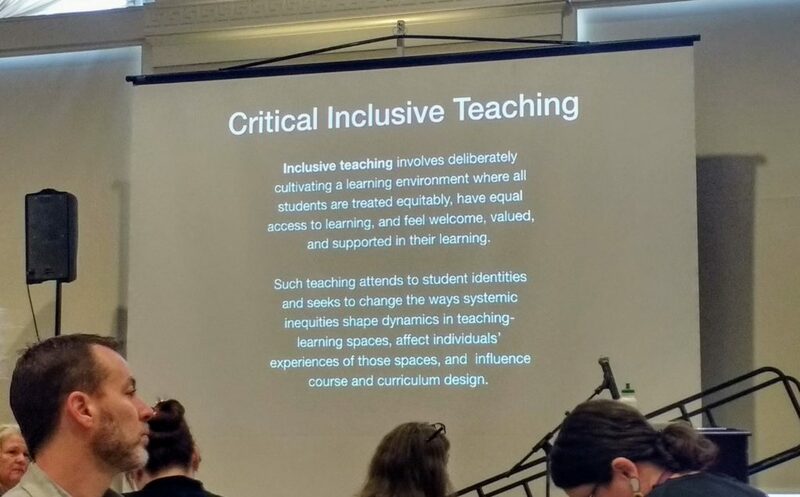 The idea is that in this workplace context, participants are much more likely to make connections between the theory and their situated practice, and to be able to action change in their practice. 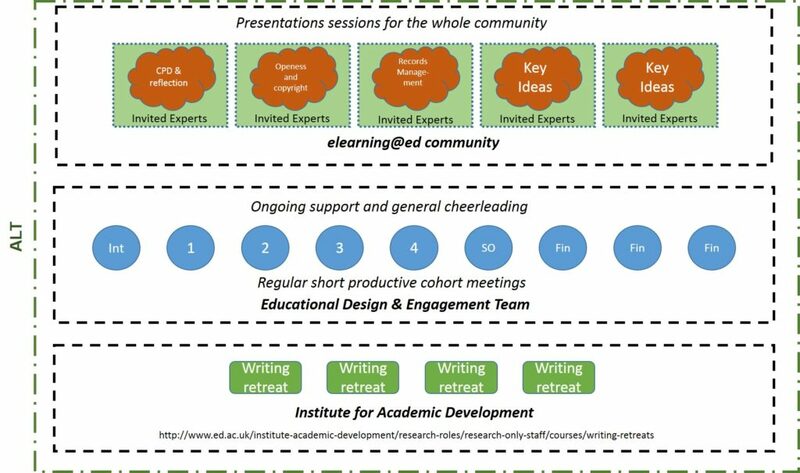 This diagram show the model of support I use comprised of regular meetings (f2f and webinars) and half day writing retreats (organised with support from the Institute for Academic Development) for cohort members. I also organised open events on ‘Key Issues’ – these are areas relevant beyond the CMALT cohort and part of the rationale for holding them is to encourage professional networking and building relationships across the University. I send out evaluation surveys after every session and was interested to get mixed feedback for some of the elements. The writing retreats where regarded as really helpful for the majority of the group but a couple of participants really disliked this format – “why would I come to the University to sit in silence when I could do this at home” said one (who had a long journey onto the campus) unimpressed by the community aspect so valued by others in the group. On reflection, it may not have been that the applicant didn’t want to be part of a CoP but rather they were already part of a well established group in their own subject area, which is based on a different campus. They were not looking for support and as an experienced member of staff may not have wanted to provide this to less experienced staff in the group. I was surprised that a large number of my cohort have not yet completed their portfolios – in the first year there were 23 applicants, with 11 in the second year. So far 13 have successfully completed, 1 has failed and 3 have withdrawn. This leaves 17 participants who have yet to make a submission. Several have had to deal with unforeseen challenges, job changes, health issues or additional care responsibilities. Initially it really surprised that people without a high level of commitment to following it through. Though after discussion with my mentor, I realise its possible that they may just have had unrealistic expectations of what CMALT entailed. identity. Cambridge, UK: Cambridge University Press. I am a Fellow of the Higher Education Academy (FHEA) which I gained in 2007 on completion of a PG Certificate in Professional Education at Queen Margaret University, Edinburgh. I completed my CMALT accreditation in 2009 and reviewed my portfolio in 2016. Learning technology support in a modern university is closely entwined with support for learning and teaching. In the past it has been considered as a bolt-on or specialist interest but digital skills for teaching are becoming ubiquitous. You can’t enter a teaching space on campus without finding a data projector, computer a lecture recording equipment and teaching takes place both f-2-f and online and in blends of both. My job title is “Learning Technology Advisor” and I work in a team called Educational Design and Engagement within the directorate of Learning Teaching and Web Services, within the Information Services Group at the University of Edinburgh. I’ve been in this role for over 10 years, and while my specific focus changes and develops over time a main part of this is to offer advice and guidance to Academic and Professional Services staff on appropriate use of technology to sound pedagogic principles, in wide range of contexts including campus based, blended and online distance learning . Please see my CV for more context. I have supported a changing and developing portfolio of tools and services over the years, most recently including Question Mark Perception, which is used for high stakes summative assessment, Collaborate Ultra for meetings and teaching and Social Media tools for Learning and teaching, which includes an excellent online course called 23 Things for Digital Knowledge. This relates to teaching and learning in several ways, it is the part of my job where I do the most “teaching” in the traditional sense, planning and delivering workshops, giving feedback on drafts, mentoring and encouraging applicants through the process. CMALT is a portfolio assessment based on an applicant’s previous experience of working with learning technology (minimum 2 years). Candidates write a portfolio showing how they address four core areas and a specialist area of practice and how that their professional practice align with the principles and values of the scheme. The flexible framework is appropriate for staff in a variety of roles, including technical, academic and leadership. In each area the candidate must frame their response within their experience of technology used for learning teaching and assessment. 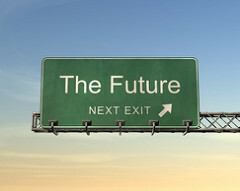 It is vital that candidates relate their experience to the context – for example its not enough to show you understand the constraints and benefits of a technology in technical terms (capacity, scalability, reliability) if you don’t also explain the constraints and benefits in learning and teaching context (context, level, applicability to learning outcomes). I support candidates to reflect on their own experience of teaching, learning and assessment and to consider how their roles directly effect this. 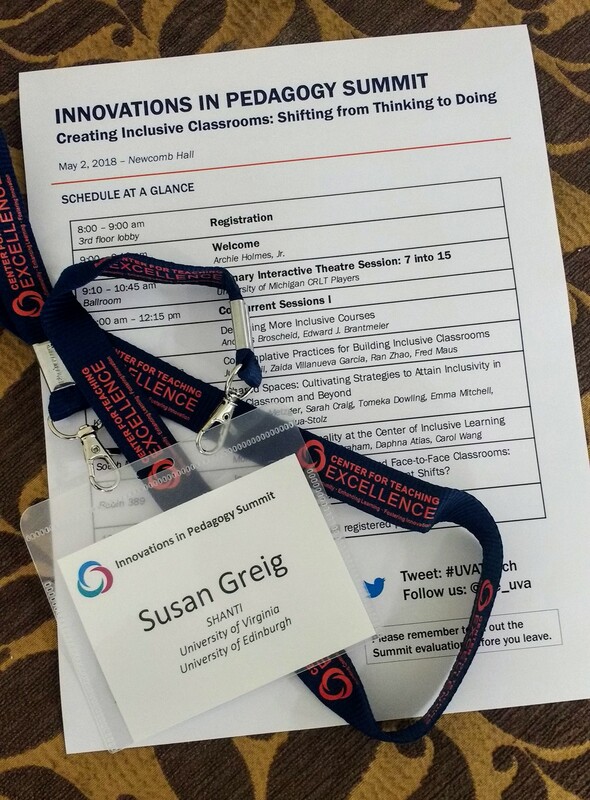 For example a CMALT candidate is an Academic working on an online distance learning programme – for their students the University of Edinburgh experience is via the Virtual Learning Environment (VLE) and they have come to realise how much control they have over this space (V2). I’m a CMALT Lead Assessor which has given me experience assessing, writing feedback and working with other assessors. I’m a committee member of the ALT Membership Development Committee , who oversea the CMALT scheme. 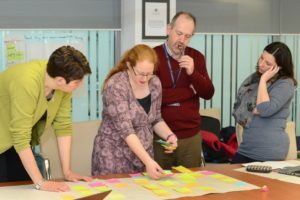 I facilitate Edinburgh Learning Design Roadmap (ELDeR) workshops to design or revise courses or programmes. Learning Design workshops bring together course teams for two days to looking at values, writing learning outcomes to the appropriate SQFA level in the U of E agreed format and then exploring how these can be assessed. At the Programme level workshops participants leave with a storyboard of courses within the programme structure. At the end of the course level workshop the team has a storyboard of the course by themes, activities (student and tutor), feedback and assessment. These workshops are highly interactive and discursive, focusing on building a shared vision within the teams. Learning design is different from, but related to, curriculum design. I discuss its heritage in this post on V3. It focused on the activities that form part of the learning process from the perspective of all of the participants e.g. what will the students be doing, what will the lecturer or tutor be doing. Initially these were developed for online programmes but are now requested by on campus too. Learning technologists facilitate these as we can provide advice on ‘how to make this happen’ and can see beyond domain-specific traditions. Academics on a law programme I worked with found it hard to consider other approaches beyond reading as they were convinced ‘that’s how lawyers learn’. Nursing programmes were very keen on reflective portfolios but were less convinced students could learn by reading unless it was related to practice (V1, V4). Learning technologies come from a range of backgrounds and often bring experience of working for other disciplines so we can offer examples from different disciples. Me discussing a storyboard with a programme team at a Learning Design Workshop. ALT (2016) CMALT guidelines (PDF). 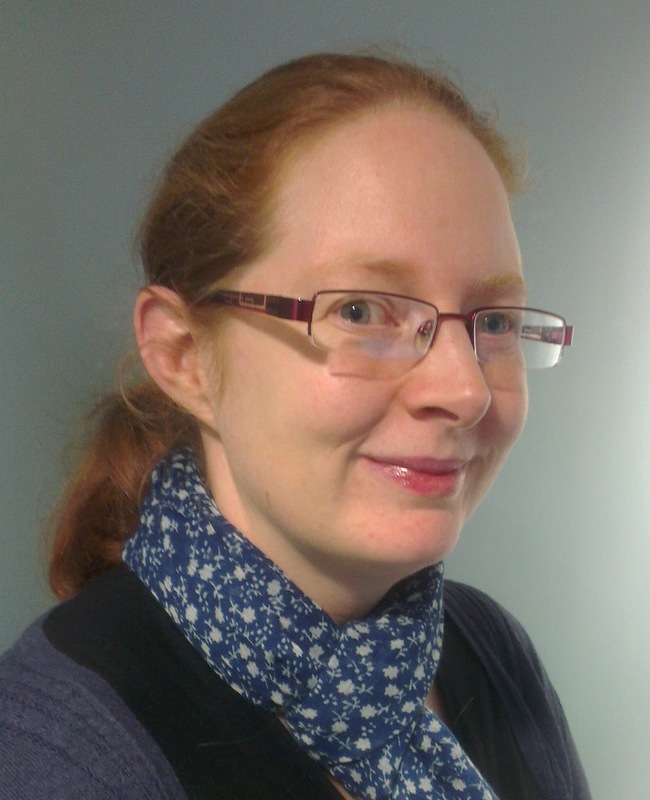 At the end of January Maren Deepwell invited #CMALT people on twitter to participate in a conversation to think about how we all record and plan our ongoing Continued Professional Development (CPD) activity for the CMALT portfolio reviews which take place every three years. Hi fellow #cmalt tweeters – anyone up for joining me for an informal virtual meet up to compare notes on how to track/record #cpd for updating our portfolios? In February I took part in a really interesting Google Hangout with Maren Deepwell, Lorna Campbell and David Hopkins, which started with a discussion around how we currently track our CPD activity. It occurred to me that I’ve never designed what I do, it’s happened organically, so in writing this post will describe what I do, reflect on why I do it and see if this gives me any ideas for improvements. I’m very much a recorder of events. I enjoy taking notes (it helps me focus), photos and making diagrams and use these later when I go to make sense of what the experience has meant for me. At work I use OneNote – I’ve set up a CPD notebook with tabs for each activity, looking at these I see they can be activities I’m currently doing, so under ‘Career Ready‘ I’m making notes of all the activities and training for this activity, or aspiration, ‘Marketing‘ is something I’m looking to find out more about, so here I’m collecting opportunities and noting articles. If I need to know how to do something, either by going to Google or asking someone, I make time to record the answer – so I can easily get back to it – that is all in the ‘How To Do‘ tab. Over the last couple of years I’ve moved to digital note taking, before that I had loads of paper notebooks. I take my laptop or a device to use for note taking. (I might at some point write a whole post about digital note taking so I’ll leave this here for now). Since completing my CMALT and recent review – I’m now much better at collecting evidence of what I do. I take the time to write blog posts because I know I will get the benefit of them later. I collect as I go. One thing I have discovered is that you can copy emails (complete with attachments) from Outlook into OneNote which is a really easy way to keep stuff together. At work, I am asked to compile a list of training courses for my Annual Development Review (ADR), which can be interesting to look back on, I usually compile this at the last minute by looking back at my diary, notes taken at events, and add in links to anything I blogged about. At my annual review I take suggestions with me so I can talk through with my line manager what I want to do and opportunities that might help me to get there. Its worth bearing in mind it can often take a while to actually get accepted on the course you want to go on. I was able to participate in the Leadership Foundation for Higher Educations Aurora programme on the third year I applied – but it was worth the wait. In approaching CPD I try to balance what I need to work on with what I’m interested in and the needs of my employer and my current job role. I’m also lucky to have a mentor at work (through the Aurora scheme) who is a great listener and wise advisor and it has been really useful to talk through my development with her. I try to identify where there are skill or knowledge I need, for example as part of participating in the Aurora programme I identified that I needed to better understand assertiveness – and then went on to find that knowledge and experience. BYOD4L BRING YOUR OWN DEVICES FOR LEARNING: AN OPEN LEARNING EVENT FOR STUDENTS & TEACHERS (FACILITATED, STAND-ALONE) – this was on my radar for a couple of years before I managed to take part is some of it earlier this year. Jisc Digital Leaders Programme – I saw an interesting panel discussion about this at Digifest, so I’ve kept a note of this to look at further. Senior Fellow of the HEA – I’ve been on a waiting list to take part in our institutional scheme for HEA accreditation for the last year. My institution has a Lynda.com subscription, I must admit I got very excited about this when I first had access, but have neglected it somewhat lately. There are good courses in there, but there is no social interaction around them and I miss that aspect. They are great if you just need to know about something, then and there. I finished the Learning Path to Become a Manager a while back and I am part way through the Learning Paths to Become a Content Strategist. Moocs – I’ve completed a few but am always seeing more that look interesting. Recently I completed an Introduction to Personal Branding on Coursera which was created by the University of Virginia. As a learning technology advisor, I always enjoy these from two angles, both the content and the approaches taken to learning design, content creation and delivery. I try to think beyond training courses at other development opportunities to gain skills or experience I need. Last year to get mentoring experience I became a Career Ready mentor – which has proved to be both a challenging and rewarding learning experience. I’ve also taken on managing a student intern to gain management and recruitment experience. So CPD for me is everything I do to try to develop myself. It is training courses and conferences I attend, as well as those I plan and deliver. It’s the questions I ask myself and then try to seek answers too. It’s the stretch opportunities I take on at work. I also read a lot of books, I love getting a book recommendation and will often be ploughing through a book months after the reasons for the original recommendations have faded. I did for a while try to take notes of what I thought of books, but that just doesn’t fit with the context of when I read, which is mainly listening to audiobooks while I walk or reading in bed. Part of this is my belief that you don’t always have to actively listen, if something is important or relevant to you, you won’t miss it. I occasionally take a photo of the front cover just as a reminder! I’ve also found it very useful to use writing to help me to think through something. In our conversation we discussed the ‘personal’ aspect of CPD – not every problem you are working through can be shared in public, or can be fixed by gaining particular knowledge. I have use google docs as a space for my private reflection. I’ve got a folder I call ‘Work Pondering’ where I write down things I want to think about, and I find that writing about them and revisiting them on several occasions can really help this process. I started with private writing but over the years I have built up my confidence to share some of my writing. I write blog posts for my team blog and participated in an online course run at the University of Edinburgh called 23Things for Digital Knowledge and now have set up a personal blog on my own domain. Blogging is teaching me different skills including: writing for an audience, writing with a message, writing to remember, or to connect with other people, or to promote an activity. What’s for me and what’s for my role? My work ADR is for here and know opportunities that are clearly role related. There are other things I want to develop that are aspirational, tangential and I can’t really link to work and these I decide to do in my own time. When I wrote my original CMALT portfolio, looking at what I did in relation to the core areas made me think about my own experience at that point and identify where I wanted to gain more – it wasn’t always immediately obvious how that related to my current job, seeing things within the CMALT guidelines gave me more confidence to pursue further development in these related ares. Like everyone, sometimes I have to do CPD I’m told to do! For example I’ve completed compulsory training in, Engaging with Change, Understanding Recruitment, Selection and the law and Information Security Essentials some in face to face sessions and others online. I try to approach this with an open mind. As a trainer myself, I am respectful of the person who is delivering the training (I’ve stood in their shoes, I don’t want to be the tough crowd!). I try to think about what is the underlying strategic reason why I’ve been sent on this? I try to get something out of every session even if it is ideas on the style or process of delivery. 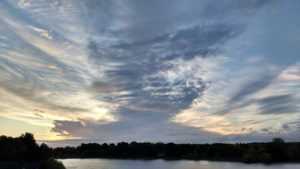 I have come to accept that life is a work in progress and accept that I need to keep learning and that I often revisit the same subject for several years from several angles…. for example I don’t think I’m every going to be done with, presentation skills, time management, project management or people skills. Not that I’m particularly uninformed about any of these – just there is always more to learn! Am I being efficient in the way I approach planning and recording my CPD? Could I streamline and plan better? How do other people record their CPD? What do we all understand to be CPD activity? I look forward to continuing this conversation. I declare that, to the best of my knowledge, the statements and evidence included in this application accurately describe my practice and are drawn from my own work, with the input and support of others duly and clearly recognised. I was surprised to see that my future plans still looks so similar to those I submitted in my CMALT portfolio at the end of 2008. I did complete the ITIL certification in 2008 and this is still relevant as there is a strong push for service improvement in ISG. I have not taken any formal management training but have had some management and recruitment experience within my role. This has been enough to make me realise that I don’t want to move into a management role, I would prefer to move towards a lecturing post as I want to do research and teaching. I am currently putting together a PhD application for a project in the digital education field and plan to do this part time over the next 6 years (I hope I have made progress in this by my next review!). I am also looking for opportunities for scholarly and research activity within my role – opportunities, to review, write and present. My current work is concerned with supporting learning technology staff development – I now have 15 years of experience as a learning technologist and I feel that I can now contribute to supporting the wider community of learning technologists and to support development of people coming into the field. I have recently started to work on a project that I am really excited about, to support a cohort of Learning Technologists at U of E through CMALT accreditation. Also I have joined the elearning@ed committee – this is a group at the University of Edinburgh that is for all staff who want to find out more about technology-enhanced learning, it brings together an interesting mix of academic, support and administrative staff and puts on events throughout the year – including an annual conference which I will help to organise. This is not a specific CPD activity but rather a reflective tool that carries across all my CPD activities. Just after I rejoined the team a team blog was set up in WordPress and I began slowly adding posts to this. My first posts are written after attending conferences and events, and this has been useful as I can link back to them later – as you can see in the training forms I have used for my annual development reviews. I find this a really useful addition to the CPD process as it encourages me to reflect on the events I attend, why am I attending these and on how do they relate to my current work. I now schedule in time after an event to look over my notes, follow up any links and to write a post. The blog is also a great way to make my work more visible and as a tool for professional networking, I always send out the link to new posts on LinkedIn and Twitter. Contributing to a team blog is great because there is not too much pressure on any one person to keep writing posts and reading colleagues posts it helps me see how our work interrelates. As my confidence in writing posts developed I also added posts about projects I have been involved in, such as this one on TREE, and and events I organised, such as this one on Geolocation and Learning and Teaching. I hope this activity shows a commitment to communicate and disseminate effective practice. The blog posts give the staff I support a wider view of my activities and interests and I hope showcase some of my skills and knowledge in learning technology. Earlier this year I volunteered for the Conference committee member for #OER16 Open Culture. 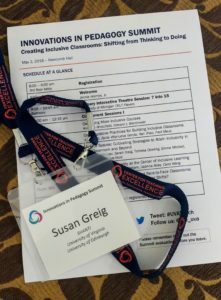 The Conference was held in University of Edinburgh this year so it offered a great opportunity to be part of something close to home whilst looking beyond my own institution to be part of the learning technology community. U of E has recently started to offer an Open Educational Resources Service from within my team, though I was not directly involved I wanted to find out more. Because of my involvement in OER16 I did my IDEL assessment (discussed below) on Open Educational Resources (OERs) in HE and created this website which was designed as an OER and licensed for reuse. 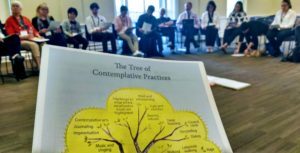 I found it really interesting to be part of the conference committee, and later discussed what this entailed in a blog post. I could have volunteered for more aspects but I did gain enough experience so that I would be much more confident to take on more roles in the future. Because I took part in the OER16 committee I am more confident and better informed about Open Educational Resources, I got to meet and work with a great group of people and I was able to attend an really interesting conference. All of this has broadened my knowledge to I can provide better support and advice about OER to our staff. In 2015 I applied for a staff bursary to do the Introduction to Digital Environments for Learning (IDEL) course which is the foundation course for the MSC in Digital Education. I wanted to do this in part to see if I could fit studying back into my life as I was still thinking about applying for a PhD. This course gave me the chance to get back up to date with the literature in digital education. Also I wanted to experiencing online learning as a student – this course is part of a fully online distance programme.It was a great opportunity to keep up to date with new technologies as IDEL is all about trying new things for example I had the chance to experience new types of assessed work, the first part of the assessment is a private blog between you and your blog tutor and for the second assessment I made a website rather than submitting a conventional essay. 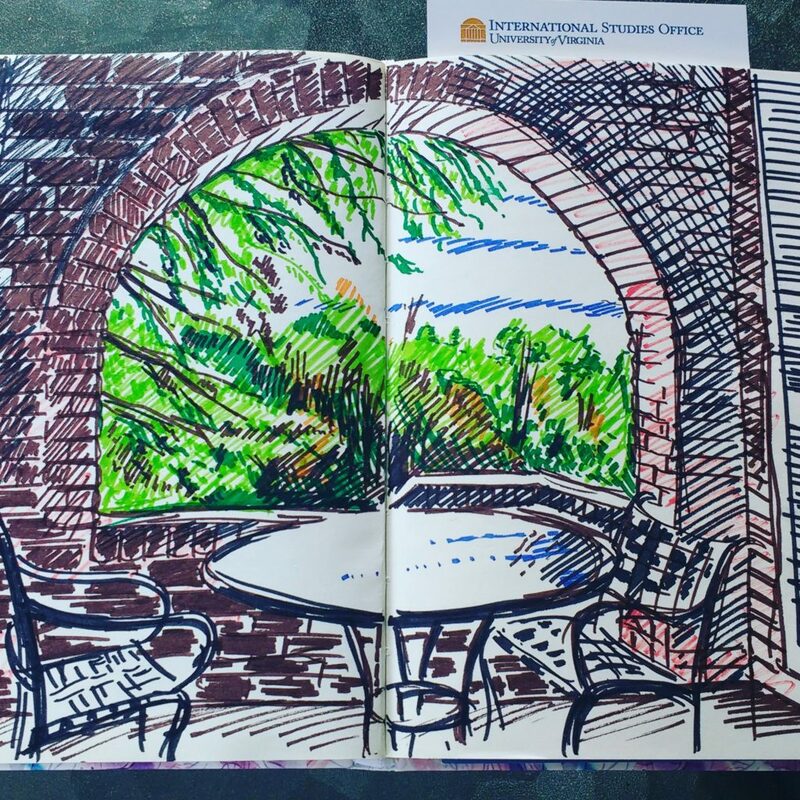 I blogged about the IDEL course afterwards. IDEL challenging me to move out of my comfort zone. I found it a great CPD experience and it has re-invigorated my passion for my area of work. This has in turn influenced the level of energy and passion I bring to the staff and students I support and has increased my understanding and empathy for the experiences of ODL students who are very reliant on technology to mediate their experience of ‘being’ at university. I then applied for a further bursary for a 20 credit course to make up the PG Cert in Digital Education and this semester took the course Digital Education in Global Context (DEGC). This course, like IDEL, had two assessments, the first part was based on participation in a group blog. 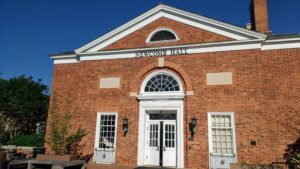 Each week had readings around a particular topic and each week two or three people were asked to lead by posting twice and following up conversation in the comments. I chose to be part of the group who led the blogs on weeks about the economics of digital education and on gender and technologies . The blog format was challenging, there was a great deal to read and I got interesting insights from the other students who were also educational professionals but working in a range of different contexts. It was interesting to see the different approaches and writing styles. Like OER, MOOC development is supported within my team but it is not something I am directly involved in so I wanted to take the opportunity to get some experience as a MOOC participant and to reflect on this, to give me some insight into how MOOCs are for participants and on what we are doing with them at my institution. These two courses complete the PG Cert in Digital Education and I am looking forward to graduating from this programme in November. I have found it really interesting reviewing my CMALT portfolio seven and a half years after I submitted it. You can see the original portfolio here – sorry some of the links have degenerated over time. My feedback on this was positive but did mention that the “the volume submitted was excessive” so I will try to be less verbose this time! My LinkedIn Profile gives an overview of my recent employment. I still work in the University of Edinburgh for the central Information Services Group. I was a eLearning Advisor in eLearning and IS Skills Development until 2009 when I left to have my first child. During the year I was away my department was restructured, so I knew I would not be returning to the post I left. On return I was offered a secondment to the newly formed Institute for Academic Development (IAD) undertaking a scoping project to link learning technology more broadly to staff development for academic staff. At U of E there is a current focus on developing Online Distance Learning and a five year well funded project called the Digital Education Initiative which supported new online PGT courses was just getting underway when I was in IAD and in the later part of my secondment I was asked to set up the Online Distance Learning (ODL) network, which I’m pleased to see is now well established. I finished this secondment in 2012 when I left to have my second daughter, returning after 9 months in March 2013. My department was again going through a period of change and restructuring and my post is now Learning Technology Advisor in the Educational Design and Engagement Team within the newly formed Learning Teaching and Web Division. TREE Project – this was a project to deliver an interactive educational resource discovery tool. This was developed to a beta version but was not given any resource to promote it or to develop it further, so it is actually in the process of being closed. Disappointing as this is I do think I learned a lot from something that didn’t succeed! I set up the Social & Cloud based Learning & Teaching service. I also ran two successful events about geolocation in learning and teaching as part of this service. I currently lead on the Question Mark Perception assessment service so am involved in upgrade projects, training and service support for this. I am service second on Top Hat and Collaborate. I have just started work on a project to offer professional development for U of E learning technology and related staff through supporting a cohort of applicants through CMALT. I’ve just set up my own domain!